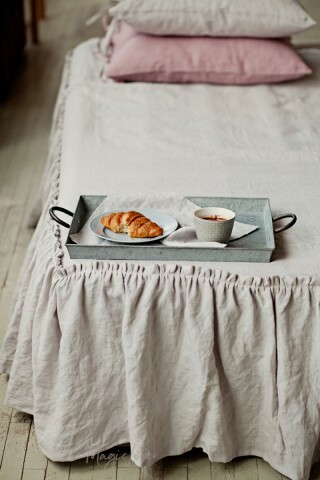 Ruffle trim linen bed runner available in all MagicLinen colors. 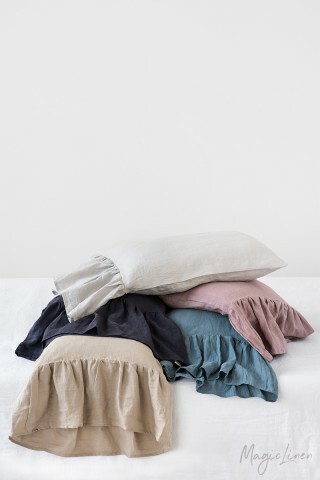 Add a pop of color and texture to your bedding set with this elegant linen bed runner (bed scarf) featuring long mermaid ruffles. 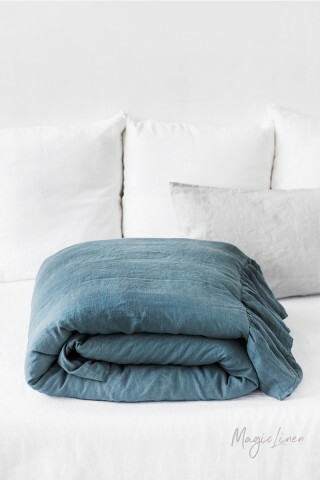 Soft and easy draping, it compliments every interior and is easy to mix and match with other bed linens. Please note that stripes can go horizontally or vertically depending on the size of the product. If you have a preference regarding the direction of the stripes, please drop us a line before ordering.